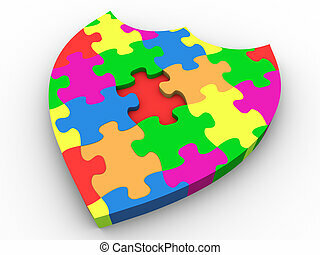 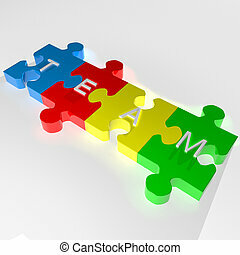 Puzzle team work. 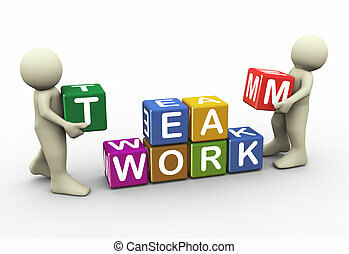 3d render of team work concept. 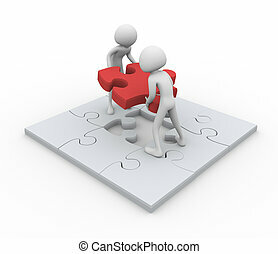 men working together on puzzle peaces. 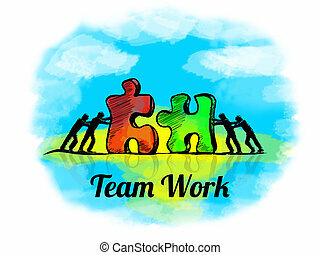 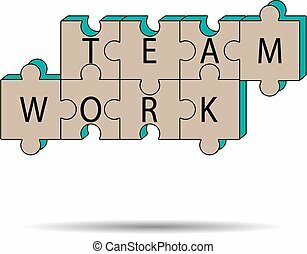 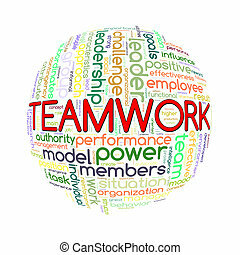 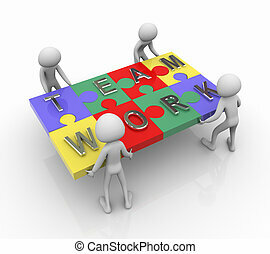 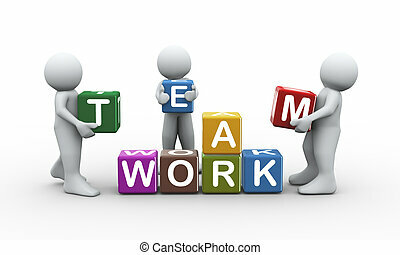 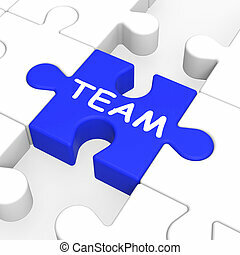 Team work concept. 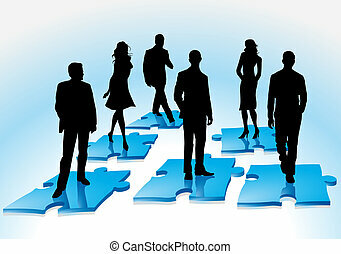 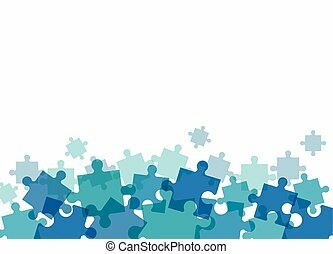 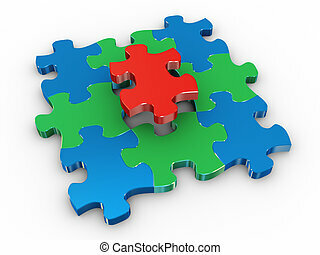 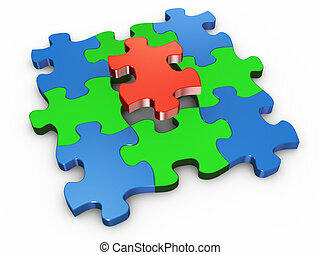 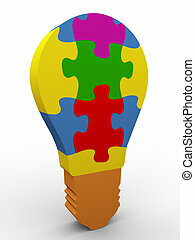 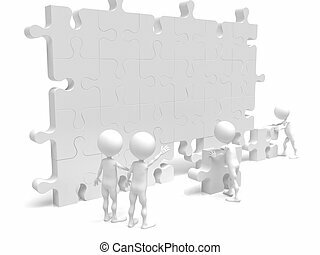 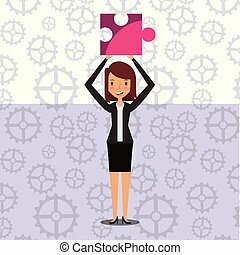 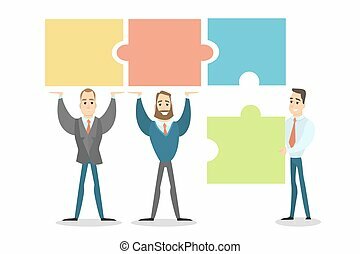 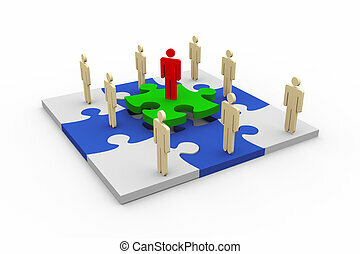 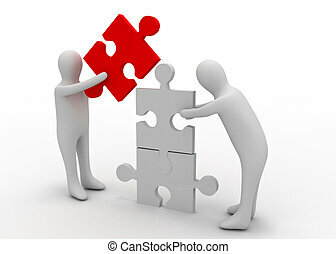 Businessmen building puzzle together. 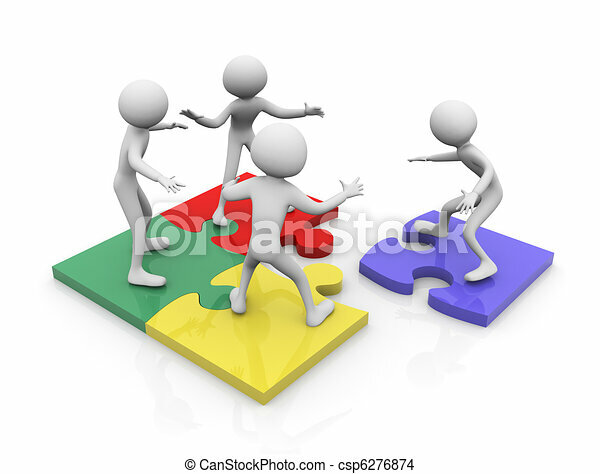 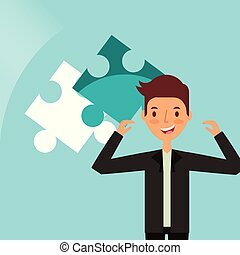 3d rendering of man symbols on puzzle. 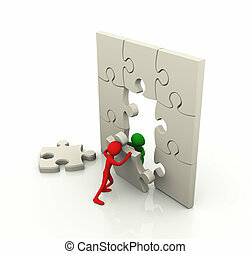 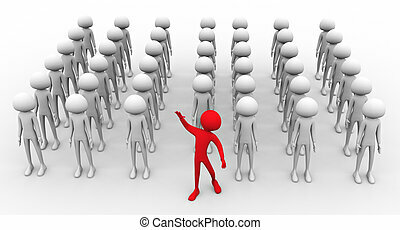 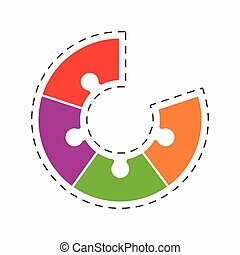 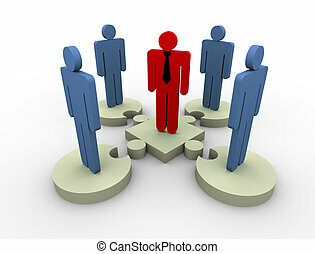 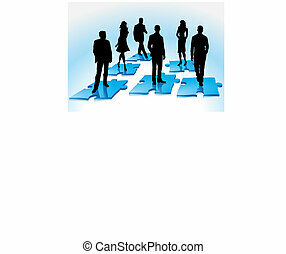 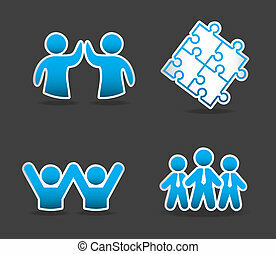 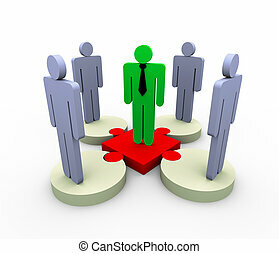 Concept of problem solution, team work, leadership. 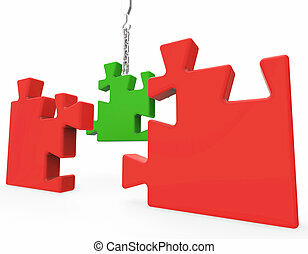 3d render of solved puzzle on white background. 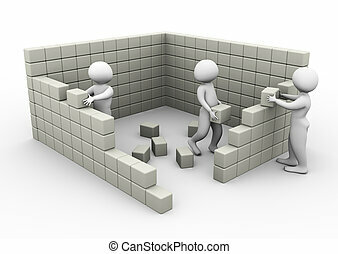 3d men constructing wall with the help of cubes/blocks.